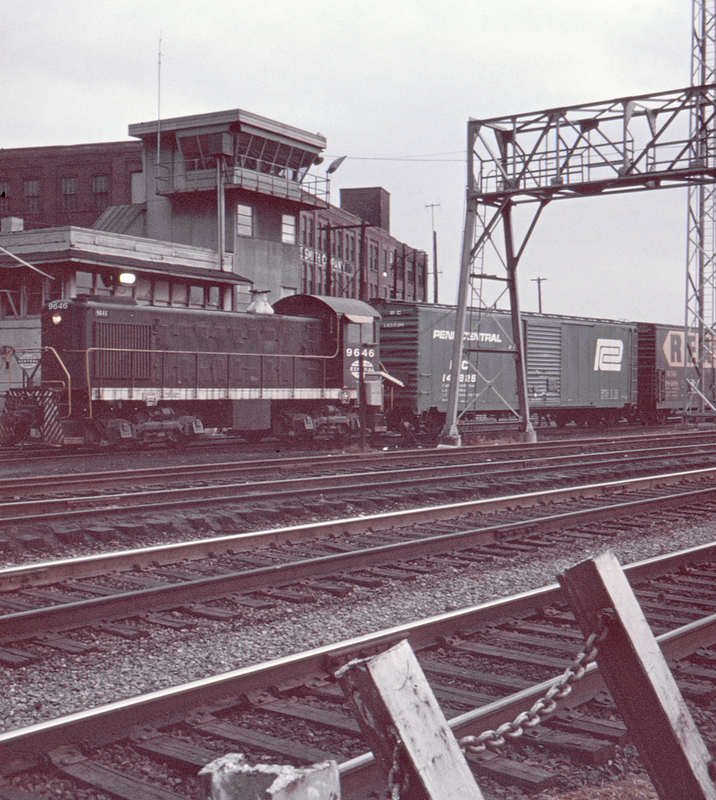 Circle Street, a short stub-ended street below Rochester, New York's Main Street bridge, provided an excellent vantage point for watching trains at the New York Central's Goodman Street Yard, although one did have to watch for the occasional talkative drunk. In this case Alco switcher no. 9646, still in NYC paint, poses for the camera. The (still) four-track main is in the foreground.